The philanthropy pillar of the Tata Mumbai Marathon, promoted by Procam International, is the biggest philanthropic sporting platform in the country. The event has gone beyond running to bring people together – over and above politics, religion, race, colour, and gender. This includes not only runners but also spectators, volunteers, state and civic authorities, sponsors, fundraisers and all who experience and touch the event in different ways. 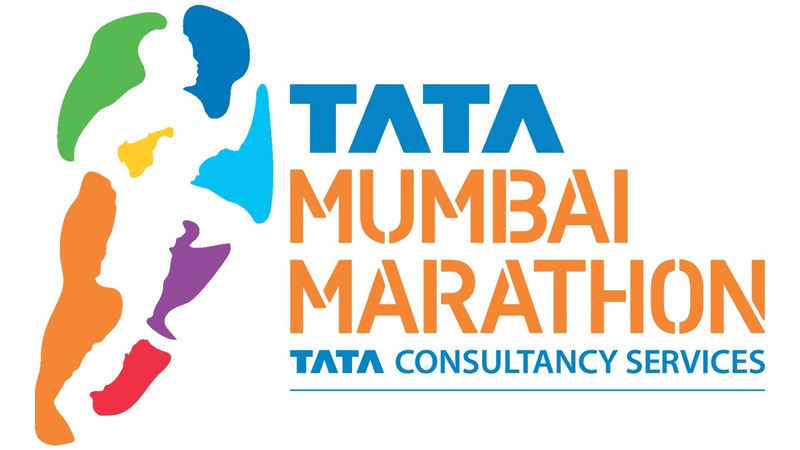 The Tata Mumbai Marathon inspires people to 'Be Better' and the philanthropic pillar is a befitting example of this ethos. United Way of Mumbai (UWM), the Philanthropy partner to the event, with the perseverance of 270 participating charities shattered all records in their philanthropic efforts raising an astounding ₹ 32 crores, pre-race day. These funds generated would help educate children, improve healthcare, provide livelihood opportunities, and safeguard the environment in communities across the country. The event has successfully forged a bond with civil society; empowering runners to power their runs by supporting various causes as well as enabling those who are not running, to participate via fundraising. As the philanthropy partner of the Tata Mumbai Marathon, United Way Mumbai enables NGOs to raise funds for their projects through the event. United Way Mumbai maintains a cause neutral, level-playing field for all participating NGOs and provides a functional platform to various corporates and individual fundraisers to support these NGOs. This year over 176 corporates have fielded 293 teams comprising of over 7,800 runners and have helped raise Rs 16.54 crore for 91 NGOs. From a cumulative total of Rs 1.4 crores through 12 NGOs in the inaugural edition of the event, philanthropy at the event has made great strides. In this journey, there have been some extraordinary individuals who have raised phenomenal amounts; in the 2017 and 2018 editions two individuals, Mihir Doshi and Sankara Raman had raised Rs 1.3 crores and Rs 1.32 crores respectively, both shattering records in the individual fundraising category. This year, two fundraisers, Sankara Raman and Sanjeev Shah have already raised Rs 1.01 crores and Rs 1 crores respectively. Sankara Raman: Sankara Raman is a 56-year-old chartered account by profession and a philanthropist who has been participating in the Champions with Disability run for the past 12 years consecutively at the Mumbai Marathon and has cumulatively raised over Rs 6.68 crore. He raised Rs 1.3 Crore in the 2018 edition of TMM, receiving the highest fundraiser award. He has dedicated his life for the cause of disability and to the service of Amar Seva Sangam. Affected by Muscular Dystrophy himself, he aims to make Amar Seva Sangam a forerunner in disability management. Sudhir Shenoy: Sudhir Shenoy is the CEO of Dow Chemicals. He is a first-time fundraiser at the TMM and has already raised over Rs 50 lakhs. He started running for health reasons at the age of 43 and aims to complete 50 marathons before turning 50, all of them associated with social causes. Through the TMM 2019, he is raising funds in supporting of Habitat for Humanity India towards housing projects for farmer widows in Maharashtra. Aditya Joshi & Vishal Agarwal: Aditya Joshi is a 37-year old finance professional working in Mumbai with a private equity fund. He has participated in the Mumbai Marathon (half and full) since 2011 and this year he is running the half marathon as the guide runner for Vishal Agarwal, a 32-year old visually-challenged financial professional. Agarwal has also participated in the even in in 2017 and 2018. Joshi and Agarwal have been raising funds at the TMM for the last three years and this year have raised Rs 19 lakhs in support of Shraddha Charitable Trust and Clubfoot Medical Foundation. Sanjeev Shah: Sanjeev Shah is a first-time fundraiser and has raised over Rs 1 crore in support of Shrimad Rajchandra Love and Care. He has worked at Kotak Mahindra Group for 16 years and for the last 10 years has been the head of Merger and Acquisition and Corporate Strategy at the Times of India Group. Having always been moved with social disparities and responded selectively to friendly calls for support, this time, his son inspired him to prioritise these philanthropic initiatives in a larger way to impact permanent social change. Meera Mehta: Meera Mehta is a 20-year-old medical student and a veteran fundraiser who has raised funds at the TMM for the last 7 years. Over the years she has raised over Rs 60 lakhs in support of Shrimad Rajchandra Love and Care and is aiming to raise another 40 lacs this year, completing the mark of Rs 1 crore been raised before she turns 21 years. She has raised over Rs 11 lakhs this year and is the event’s most successful fundraiser in the Young Leaders Category. Family Planning Association of India (FPA India) is an NGO that deserves a special mention for utilising the Tata Mumbai Marathon’s philanthropy platform. For two consecutive years, the NGO has received a Diamond Badge in the NGO Privilege Level ratings. NGO Privilege Levels incentivise the efforts of participating NGOs in leveraging the TMM platform in its complete form and NGOs receive the Diamond Badge in level three. Only two NGOs have received the Diamond Badge in TMM 2018, and FPA India achieved it in only their second year at the TMM. Proving it wasn’t a fluke, FPA India achieved the feat again at the TMM 2019. Dr Kalpana Apte (CEO) leads the team at Family Planning Association of India. The Foundation has been supported by 186 children from the The Cathedral & John Connon School who have raised Rs 84 lacs and spread awareness for the organization at the TMM 2019. Seven of them have already become Change Runners by raising Rs 1.5 lacs and above; 27 of them have raised more than Rs 75,000 individually, qualifying themselves as eligible Young Leaders. The Foundation was founded in 2016 by Rahul Bose with an aim to fight against discrimination in all forms. United Way Mumbai is a part of the 130-year-old United Way movement engaged in nearly 1,800 communities, spanning 41 countries across the world. Our mission is to improve lives by mobilising the caring power of communities to advance the common good. We work closely with a network of 400+ NGOs and a large number of corporates for their CSR programmes, workplace giving campaigns and other events. This includes designing of CSR policy and strategies, due diligence of NGO partners, programme implementation, employee volunteering, impact assessments and financial and programmatic reporting. Over the past 16 years, we have partnered with over 300 companies and over 1,00,000 individual donors investing close to INR 312 crore for community development projects. UWM, in its role as the charity partner brings together charities, corporates and individuals through a credible platform for giving. Each participating NGO undergoes a background due diligence process.